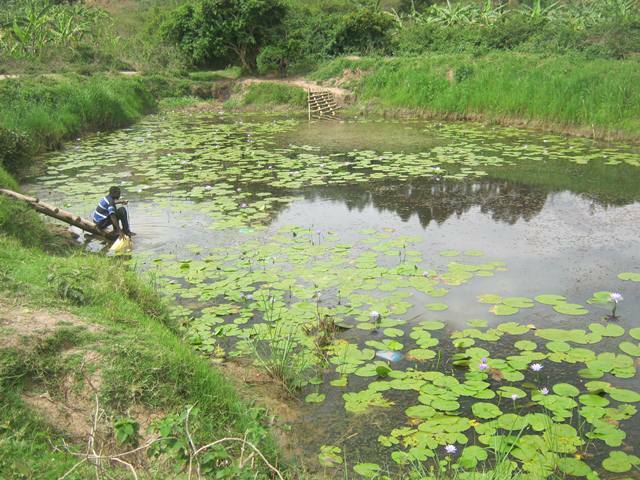 Zambia: Study Finds Shallow Groundwater Unsafe. Kabwe is a transport hub and old mining town in central Zambia. One resident, Joseph, recounted how when he was growing up in the town in the 1970s, most houses had a tap and a reliable water supply from the municipal system. Few children in the town now have this luxury; in the 1980’s the world price of copper collapsed and the mines closed. Many of the townspeople could no longer afford their water bills, and the lack of investment led the municipal water system into a spiral of decline. Today, the town continues to grow, in a haphazard way and sanitation is poor – only 11% of low income households have access to a latrine or toilet. Most of the poorer residents get water from shallow wells, and richer households have given up on the unreliable municipal water system and have their own deeper boreholes. But are these self-supply water sources safe? Does the risk change between the wet season and the dry? Is there a safe distance between latrine and well that would prevent the water from being contaminated? These are just a few questions that hard-pressed local government staff need answers to urgently, but they just can’t get data from enough wells and boreholes during the year. Many types of bacteria found in wastewater and sewage cause diarrhoeal diseases and cholera, which kill 1.8 million people every year, 90% of whom are children under 5 according to the World Health Organisation (http://www.who.int/water_sanitation_health/publications/factsfigures04/en/ ) . These bacteria are hard to measure directly, so the most common method used is to focus on bacteria, called E. Coli, which is an indicator of how unsafe water is. However, this test takes time, skill and a laboratory because the E. Coli have to be encouraged to grow so that they can be counted. What is urgently needed is a quick, cheap, accurate way of measuring this type of pollution to guide efforts to provide safe drinking water. An answer may now be available, for Kabwe, and for water supplies all over Africa and beyond: a team, led by Dan Lapworth, from the British Geological Survey (BGS), along with colleagues from the University of Zambia, University of Surrey and Lukanga Water and Sewerage Company Ltd has been collaborating to develop a new way to measure groundwater pollution. It is a new probe that measures a protein called tryptophan and this was the first study to investigate the biological quality in groundwater using this technique. What they found in the wells and boreholes of Kabwe was that the amount of tryptophan measured by the probe corresponded very closely with bacteriological contamination. 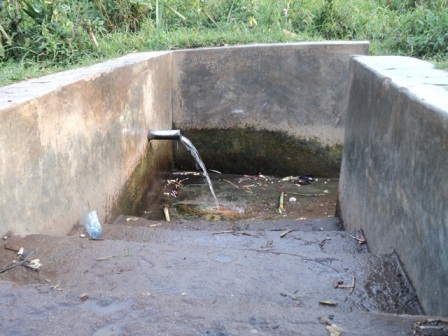 It confirmed that most of the shallow groundwater, which the poorest people in the town were using, was unsafe throughout both the wet and dry season, but that the deeper groundwater is generally free from faecal pollution, unless the borehole had not been sealed properly. The advantage of the tryptophan probe is that it is quick, needs no special chemicals and cheap, so it can enable rapid surveys across dozens of wells and boreholes across the town, that just isn’t practical with traditional E. Coli testing. Although the research from the UPGro Catalyst grant has finished, others are taking an interest: the US-based charity, Water for People, asked BGS to trial the probe in rural areas of India undergoing sanitary interventions. Here, the sensor was equally successful at identifying bacteriological contamination in drinking water and the team was able to rapidly test up to 6 different supplies per hour. In Kabwe it is now possible for the health risks from groundwater to be monitored, both across the town and over time. As the international community attending the Stockholm World Water Week turns its attention to the new Sustainable Development Goals – which include achieving universal access to safe water – it is practical contributions, like the tryptophan probe that can make all the difference. For the people of Kabwe, it offers the hope that future investment in water and sanitation will deliver reliable and safe water to meet their needs. ← T-GroUP: A Visit to Dodowa!